Your clients deserve the best, so you have to pick your suppliers very carefully. You can’t afford to go for the lowest price, without making sure you don’t compromise on quality. When it comes to bread and other bakery products, even a small glitch can cost you your reputation. Our commercial bakery is here for you. With us, you won’t have to worry about your baked goods ever again. We are proud to offer the highest possible quality at affordable prices. Our premium-baked goods can satisfy even the most exigent taste and the most difficult clients. Wherever your shop may be located, you can rest assured your regular customers are going to buy their bread only from you. Not only do we use the finest ingredients and the best recipes, but we use only the highest quality industrial bakery equipment in the production of our baked-good as well. Quality equipment and machines, when used properly, go a long way towards producing high quality goods. We use only high quality BTE commercial bakery equipment on our production lines. Watch the video below to know more. 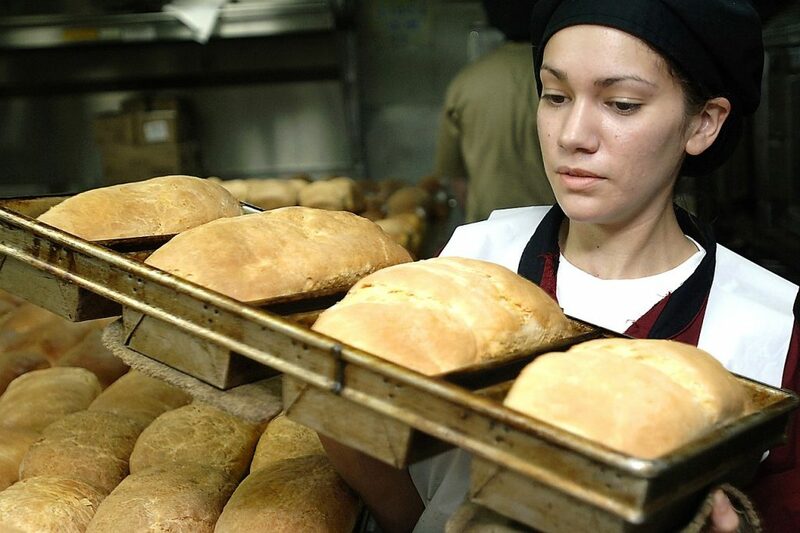 Our commercial bakery uses world class practices and traditional recipes, in order to cater to your needs. We employ only the finest people, baking experts who have made this profession their passion and their way of living. They love their trade, so they always keep tabs on the news in the baking industry. We use the best possible equipment and tools, our ultimate goal being to be able to deliver the same outstanding quality products each and every time. In addition, we choose our ingredients very carefully, as we know the quality of our baking depends a great deal on this. Our raw materials suppliers are among the best in their industry. We don’t compromise on this, so we only work with reputable companies, well-known for the quality of their flour. We understand the needs of our clients, regardless the segment of the food industry they belong to. Our team is focused on service you at the highest quality standards. Consistency is one of our core values. We strive to provide you all the items you need, right when you need them. We know how your clients think about their local bakery, and we are able to live up to their expectations and beyond. With us, you won’t have to worry about not being capable of offering your clients their daily morning bread. Whatever their morning habits in this regard, we are more than willing to comply. All you have to do is tell us what you need. Once we know about it, you can consider it done. We’ve managed to maintain a spotless reputation. All our current customers are very happy with our services. If you want, we are more than happy to provide you references, so that you can ask them directly about their experience with our services. We’ve been in this business for quite a long time. During all these years, we’ve striven to improve our services, in order to serve our client the best possible way. Our expert bakers are dedicated to their jobs, as they see it more as a form of art than as a daily duty. They are proud and happy to try new things, to create innovative products, thus enabling our clients to be innovative at their turn. You can amaze your regular clients with freshly baked goods they are going to become addicted to. Timely delivery is another core value we fully embrace. With us, you are never going to have to say no to a customer wanting to buy bread or other baked goods for that matter. Our delivery team is committed to being on time, each and every time, on any type of weather. We provide our employees the best training in the industry, so you can have the peace of mind that you’ll be perceived as a bakery professional in your local neighborhood. Contact us today to see how we can work together towards the satisfaction of your customers. Our specialists are here for you.